The Bay of Plenty is experiencing significant demand for a diversity of housing typologies, and this is expected to continue with an ageing demographic. There is demand from the community in the region for affordable smaller dwellings. It is recognised that there is no clear pathway for people to create such housing solutions. 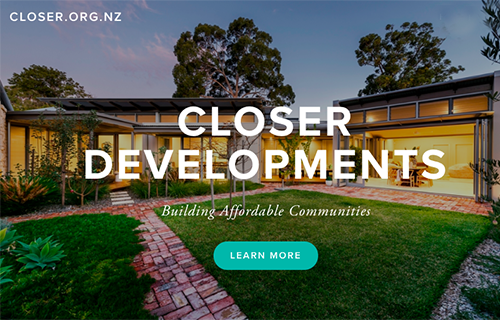 CLOser Development Ltd seeks to fill this a gap by leading the conversation and creating a model to enable connected, affordable smaller living communities. Through their networks CLOser formed a partnership with an aligned landowner seeking to provide an alternative housing model to meet the needs of society. They were unclear what housing development model would be best suited to the site, whether to retain the existing house, and whether the project would be financially viable reaching affordability targets.